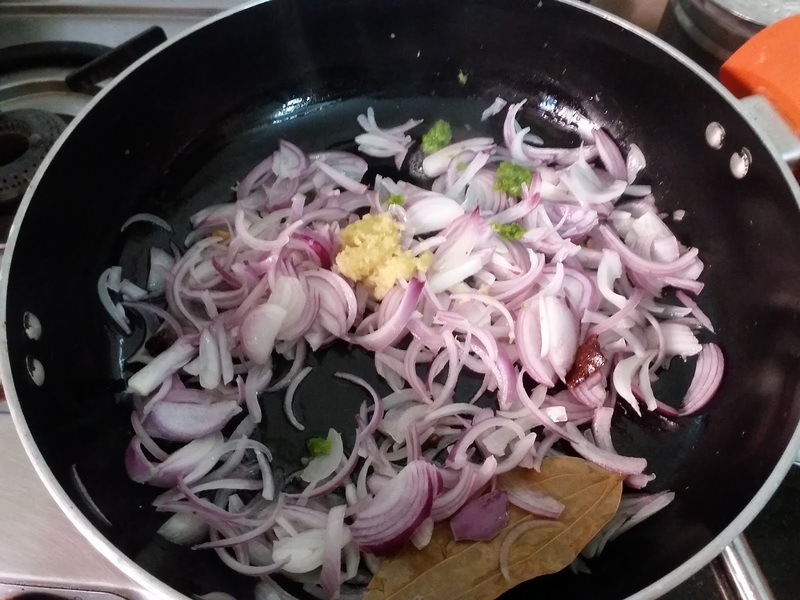 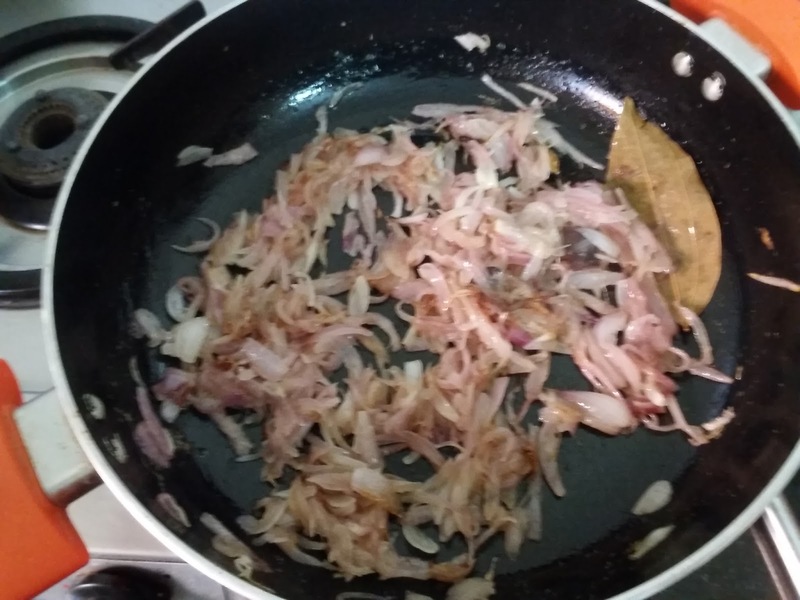 The secret to a good vegetable pulav is adding a couple of extra onions, fry them to a nice brown colour and basmati rice cooked to perfection. 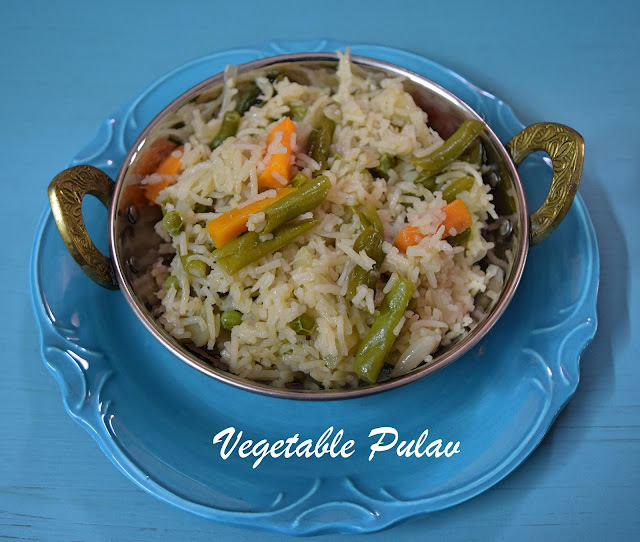 Serve this pulav with cucumber or onion raitha for a complete meal. 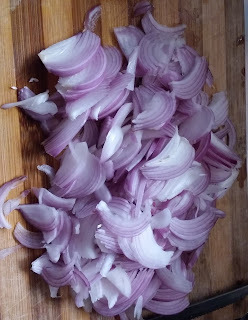 Chop onions as shown in the picture. 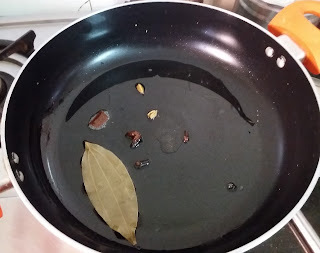 Heat oil and add bay leaf, cardamom, cinnamon and cloves. When it starts to heat up add the onions, ginger garlic paste and green chilli paste. Fry the onions till they turn almost brown in colour. 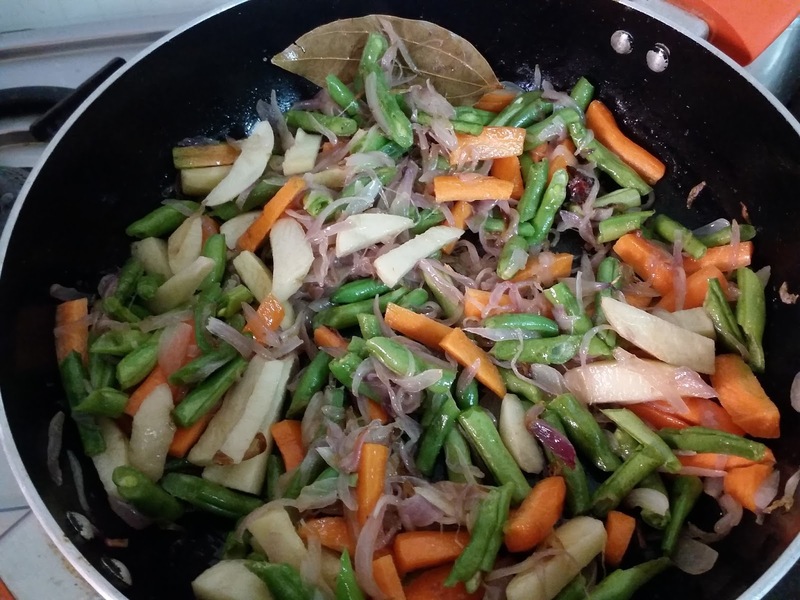 Add the boiled vegetables to the pan. 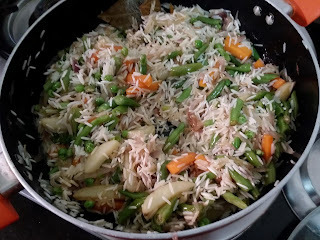 Drain the water from the soaked basmati rice and fry till you get the fragrant aroma of basmati rice. Add water and bring to a boil and simmer till the rice is cooked. 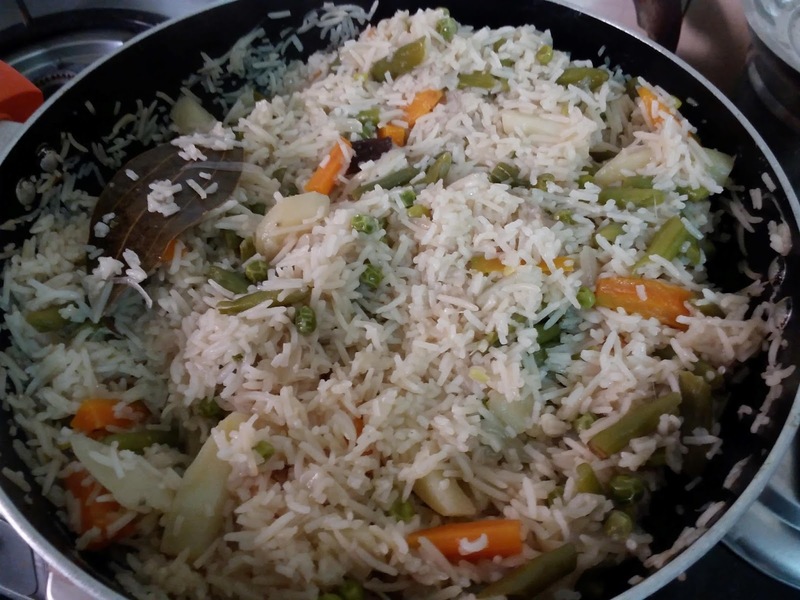 You could do this with only peas and add some cubes of paneer too.